In Gideros runtime, there are 3 kinds of directories: resource, document, and temporary. You don’t need to know the exact path of resource, document and temporary directories because Gideros provides an easy way to specify files at these directories. Note: Resource directory is read-only and you should not try to write any files there. By default Gideros executes all lua files on both players and in real app. 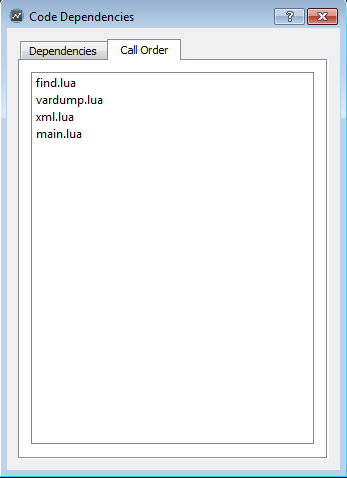 Before an Gideros application starts, all Lua files at asset library are executed one by one. So it is possible to arrange the order of execution by setting the code dependencies between Lua files. 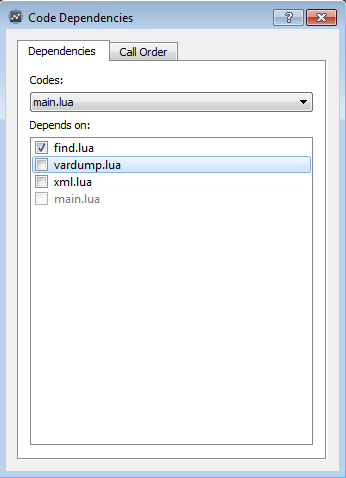 In this menu, you can set the dependencies between Lua files. For example, if a.lua is dependent to b.lua, b.lua is always executed befure a.lua. Note: The file names main.lua and init.lua have special meaning: When an application starts, Gideros runtime tries to execute init.lua first and main.lua last. strict.lua checks uses of undeclared global variables. If strict.lua is executed, all global variables must be ‘declared’ through a regular assignment (even assigning nil will do) in a main chunk before being used anywhere or assigned to inside a function. Although optional, it is a good habit to use it when developing Lua code. To execute strict.lua before all other Lua files, simply add strict.lua and init.lua to asset library and make strict.lua dependent to init.lua. 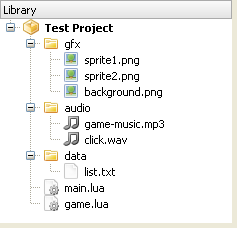 You can download strict.lua from here that originally comes with the Lua distribution.